Hello, wonderful readers! We are starting our spring break and it is nice to just chill with the fam. In the next few days you may see some changes around here, I am having some updates done to MyLove2Create and I am getting a new logo!! Not that I had one before...so I guess this is my first....I can't wait! Hopefully this week everything will get finished up. In the mean time, I wanted to share a crate I recently gave as a wedding gift to some friends. 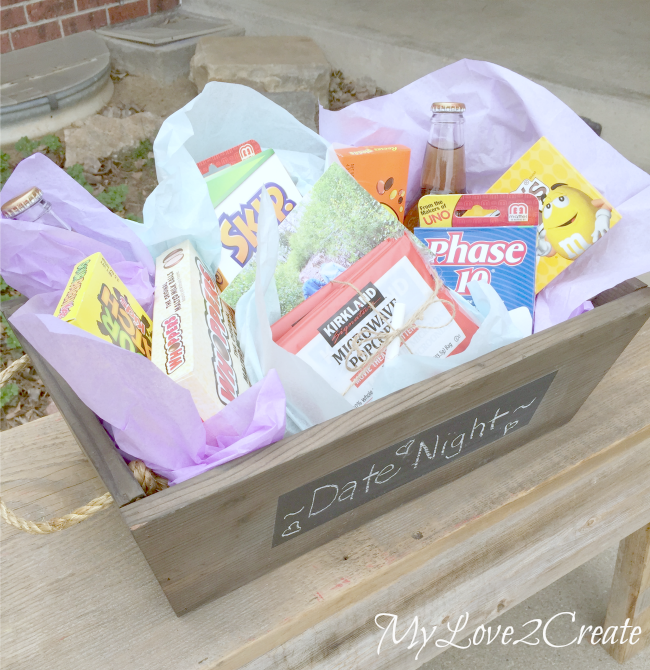 I call it a Date Night Gift Crate. 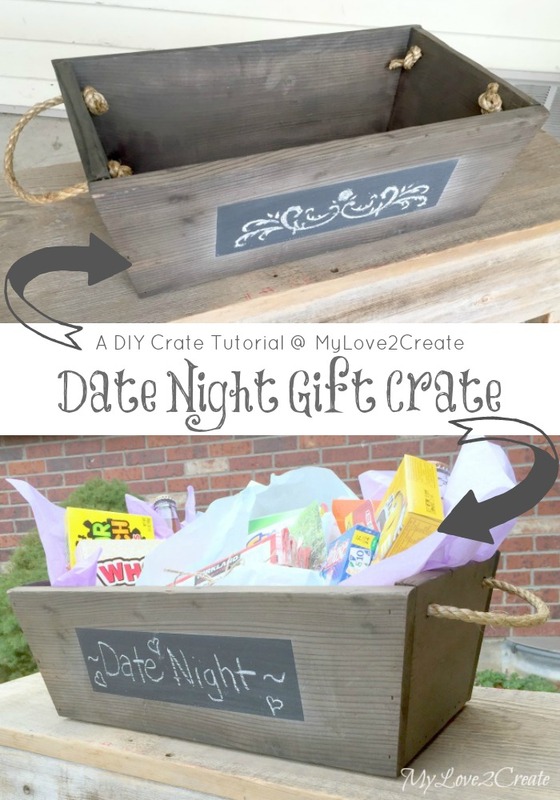 I like to give the couples something to remind them to stay young and have fun by continuing to date after they are married, AND.... who doesn't need a cute crate? Right?! 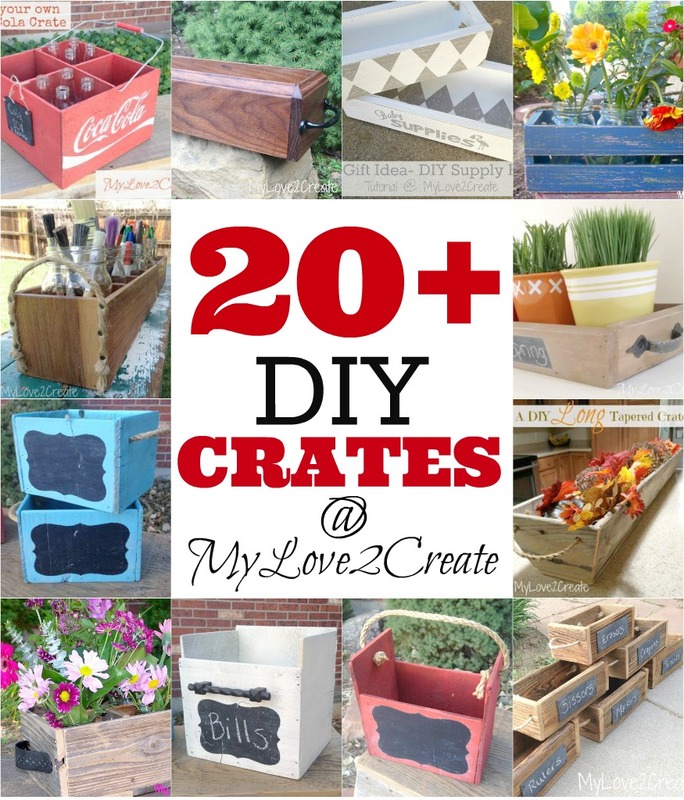 I recently posted my 20+ DIY Crates which includes other fun gift crate ideas and tons of crate tutorials. 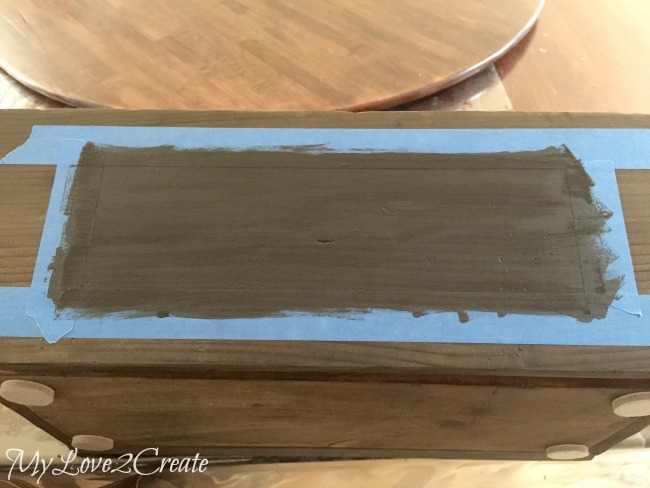 If you are a crate lover like me you can also check out Awesome Ideas for using Crates. 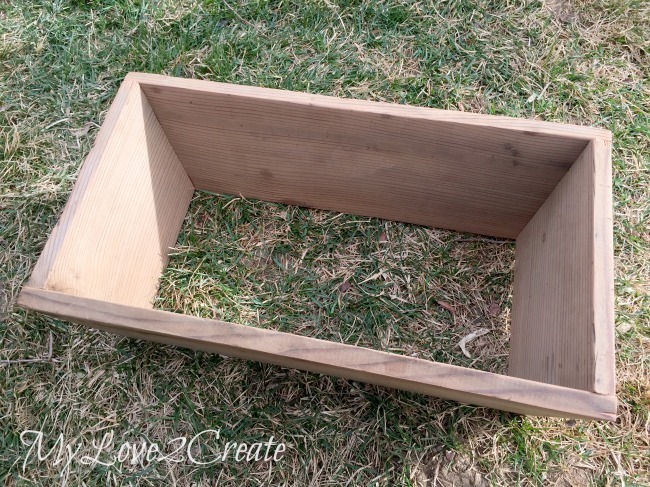 To make this crate I started with a reclaimed piece of wood, I forgot to get a before shot, oops. It was about a 5 foot long 1x8 cedar board. I cut the ends to the width I wanted at 10 degrees off square. 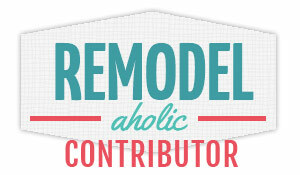 I just adjusted my miter saw to 10 degrees (which puts the saw at an angle) and cut away. 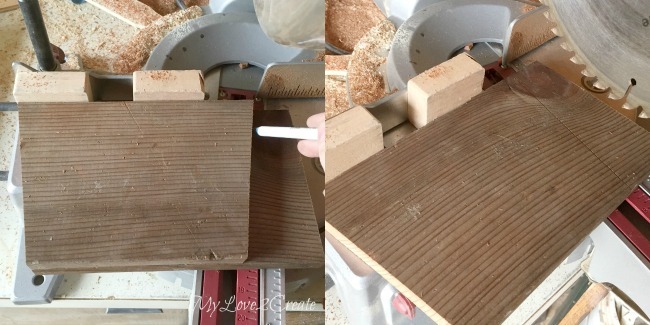 After I cut the first piece on both sides, I used it to measure and mark the second, then I cut it on the line. To maximize cuts I flipped the board over to use the already cut angled piece, that is why I only had to measure one cut above. Here are my sides and ends all cut and ready for building. You can make them any length you want. 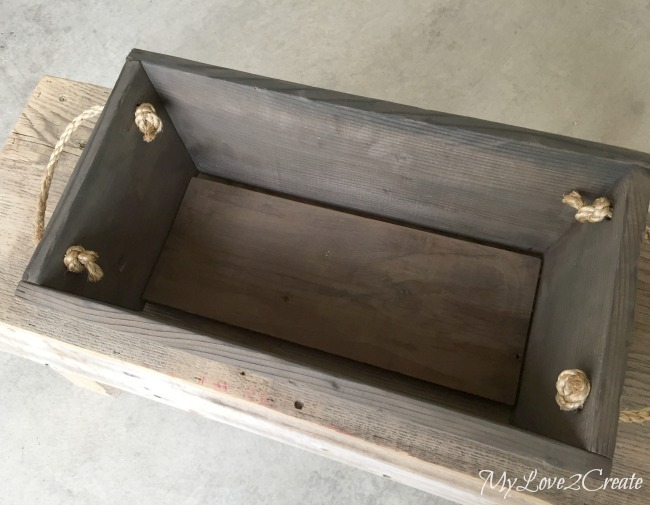 A crate with out a bottom! I ended up using a different scrap board for the bottom. 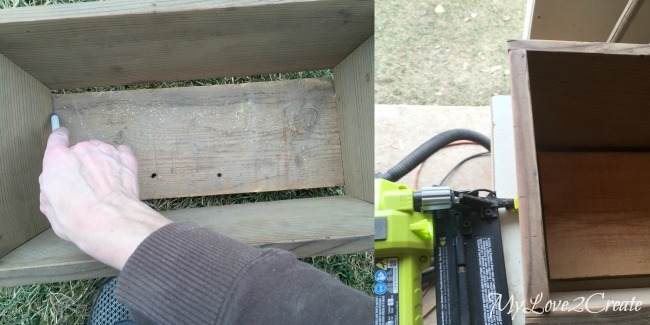 I simply placed the crate over the board and measured with a pen where to cut. 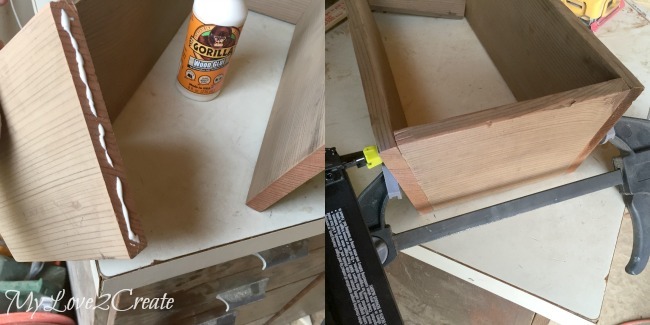 Then I cut the board on the lines (I just used straight cuts, but if you wanted to do it at an angle you could) and glued and nailed it to the crate. 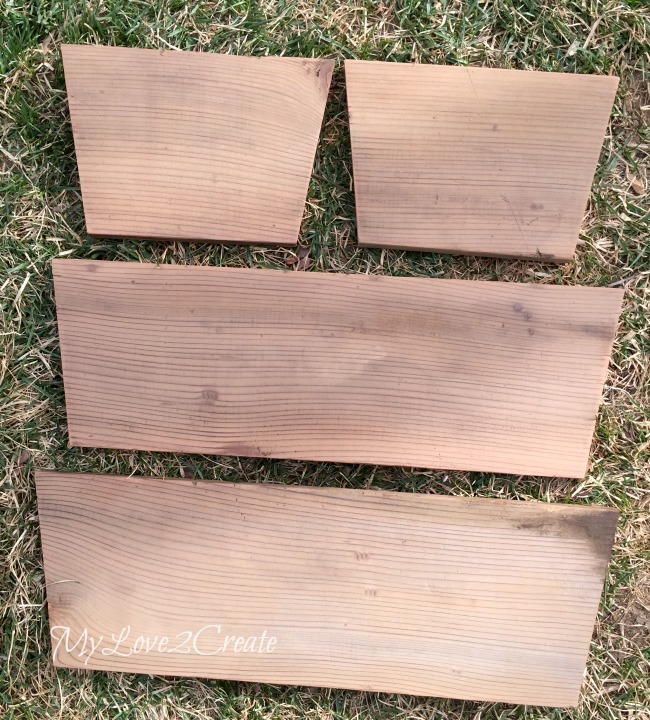 I wanted it to have gaps on either side of the bottom so it could be used as a planter.. you could make it without gaps by adding a larger board or smaller boards to fit the bottom. I decided to add my natural stain, which is #0000 steel wool in a jar of vinegar. Rip up the still wool place it in a jar and pour vinegar to cover it and put on the lid. Let it sit for a night or a few days, and it is ready! I just brushed it on with a foam brush and let it dry. 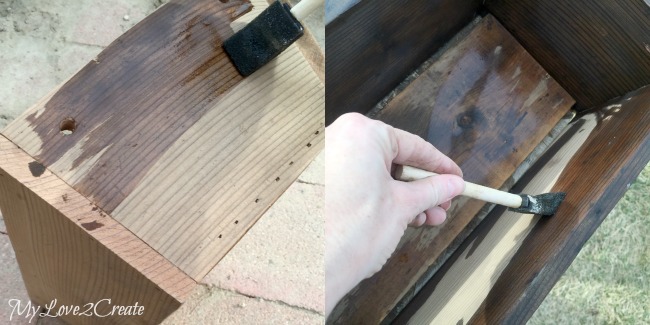 It instantly changes the color of the wood...like magic! It turned it a fun dark color and I love it! For handles, I decided to go with the simple rope look. I just drilled holes big enough for the rope to go through and tied knots on the inside. 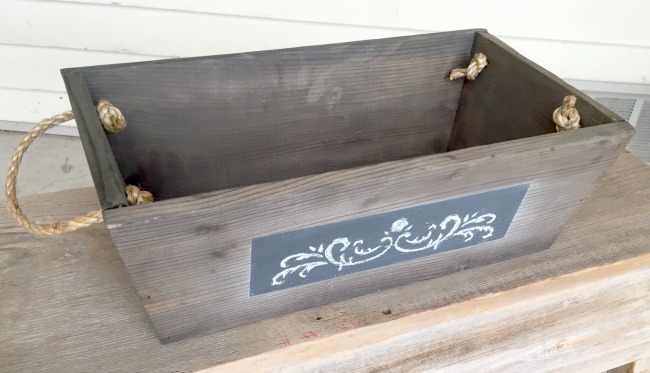 I added some pads to the bottom and of course, I love chalkboards, so I put three coats of chalk board paint in a rectangle made from painters tape to make a fun place for labeling. Super easy! It can be filled with all sorts of goodies to fit any gift theme you want! 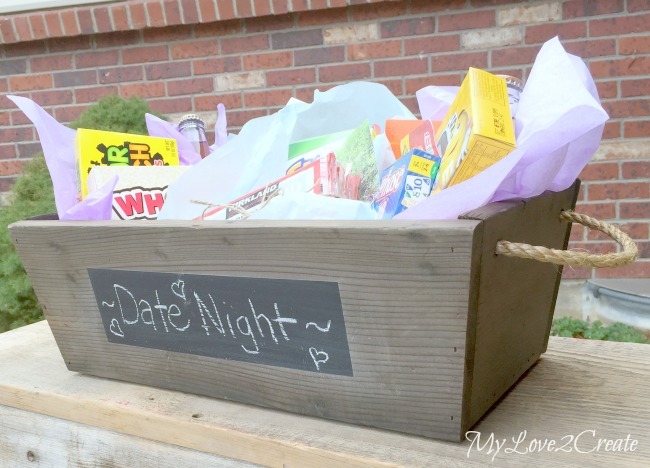 For a date night gift crate I threw in a few card games, some dollar candy boxes, popcorn, and cream soda! 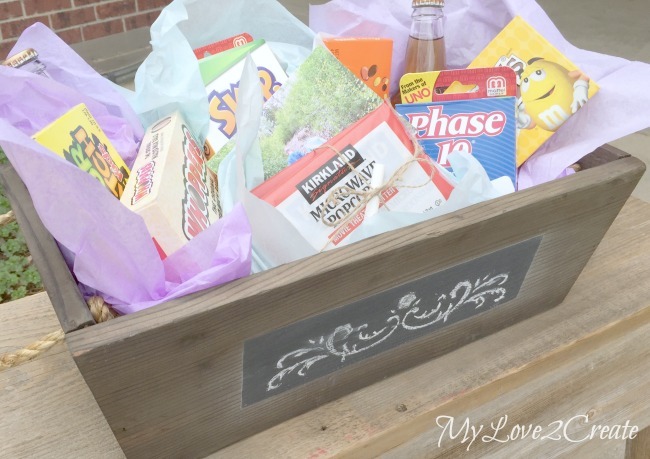 What kind of themed gift crate would you love? I can always use more great ideas! themed? Chocolate! LOL it's all I think about. Very cute crate. It can be used for many ideas. Happy date night! Date night? What's that? 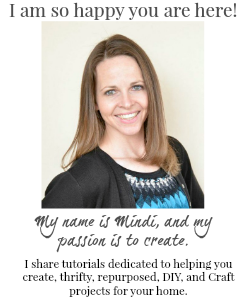 ;) Love it , Mindi. I really need to make a crate - just because. I like all of yours and they are so versatile. Seriously, you come up with cutest containers for everything! You need to come to my house and help me organize, lol. But first, I really need a date night. Maybe if I put a cute crate like that on the mantle, it will help motivate me. Thanks for sharing on Merry Monday! such a cute idea! I can see all kinds of gift crate ideas. Being a gardener, I would love one filled with fun garden themed gifts! Thanks for sharing with SYC.